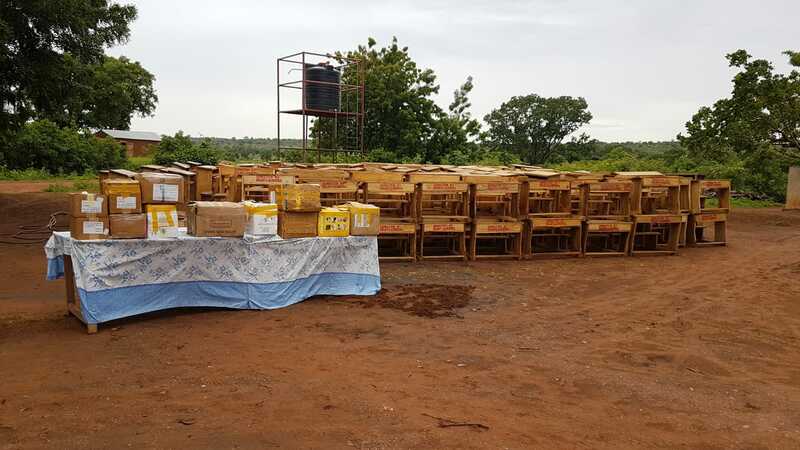 In an extremely charged environment filled with joy, fulfillment and display of culture, the people and students of Guabuliga gathered to witness the presentation of the furniture and textbooks to the community cluster of schools they have ached for. This auspicious event was held on the 6 th of June, 2018 amidst some showers of blessings in the early hours of the day at the forecourt of BA training Centre. 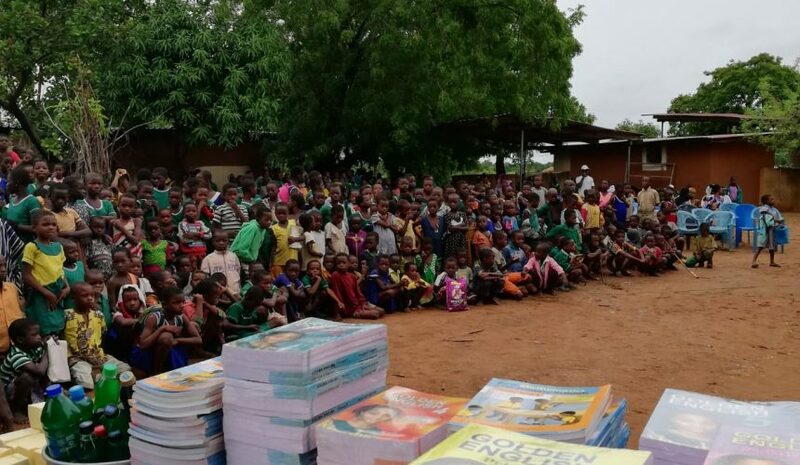 This donation was necessitated by the painstaking process with which students learn on their bellies, their inability to access textbooks and other relevant TLMs. 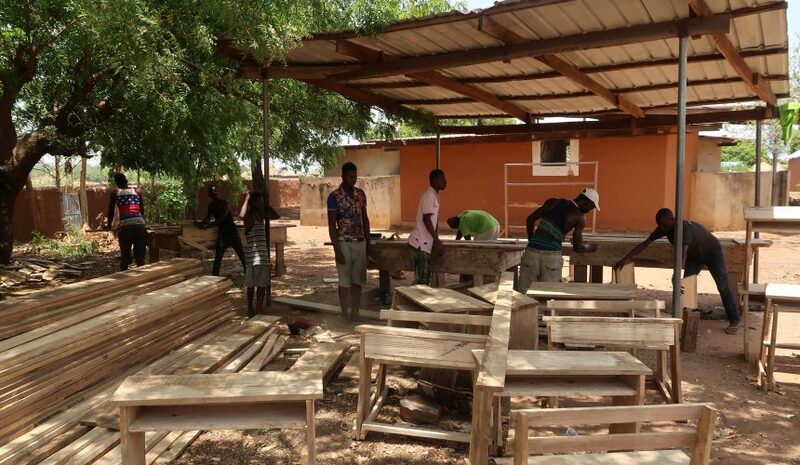 With these challenges, students of the Guabuliga schools were expected to compete with others exposed to favorable environment. This novelty as described by many in the history of the community and the West Mamprusi Municipality as a whole was graciously attended by the Municipal Director of Education, the Chief and Elders of the community, team from ISODEC, students, teachers and the guest of honor in the person of the Municipal Chief Executive of the West Mamprusi Municipal ably represented in the occasion. 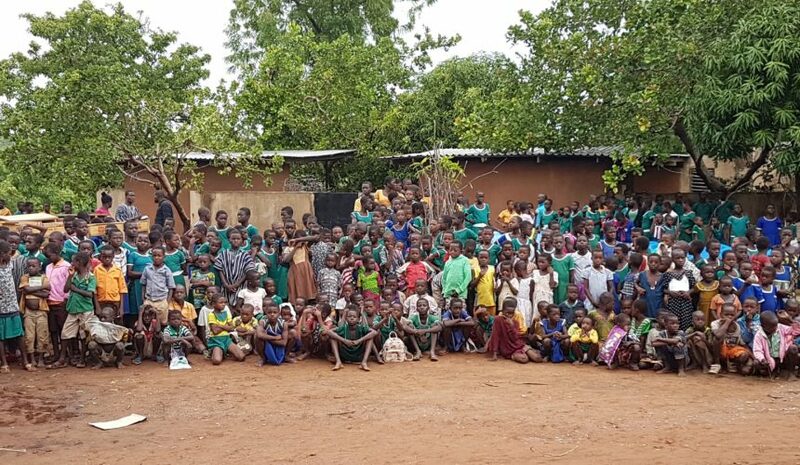 “Braveaurora has done it again by taking the shame and stigma off my face” these were the words of Hajia Mase Sulemana, the municipal director of education in her bid to appreciate BA for the smiles and hope bought to live in the children of the community. “Contributing half the cost of furniture was difficult for the parents to contribute so I expect the desk be used for its purpose and properly maintained”, “discipline is key to successful education so parents and teachers act responsibly” these were some of admonishments delivered respectively by Chief Salifu Tampuri and Baba Seidu. Respective speakers present at the ceremony shared words of appreciation to BA for its revolutionary initiatives aimed at improving education and livelihood standards in the community. implemented to improve performance and adopt measures to cater for the regular maintenance of the furniture and the textbooks and to report back to BA in the spirit of transparency and cooperation. Significant worth emphasizing is the fact that this donation is to benefit 1014 pupils undergoing training in the schools. In her closing remarks the chairperson of the ceremony who doubled as the Director of the Municipal Education Directorate said “We thank BA for the support but like Oliver twist we are still asking for more so that BA can expand to other needy schools in the Municipality”. With these admonishment and assurances, the handing over ceremony was successful done with stunning and varying cultural performance from the students of the Guabuliga schools clothed in their traditional regalia in the company of their parents. Equally significant of the program was the full coverage undertaken by TV3 Network Ghana conjoined with numerous interviews with stakeholders and BA staff to be played on TV3 News programs.